Despite months of political tension and economic obstacles, Qatar remains top competitive economy in the Middle East. Whoever said that Qatar’s economy is at risk because of politics and pressure was dead wrong, because it was just ranked as the second most competitive economy in the Middle East, and 25th in the world, by the World Economic Forum Global Competitiveness Report 2017-2018. In last year’s report however, Qatar ranked as the 18th most competitive economy in the world. After slipping 7 spots down the list, it is placed just behind the UAE in the region. The index scores countries according to 12 economic ‘pillars’ across three main themes. 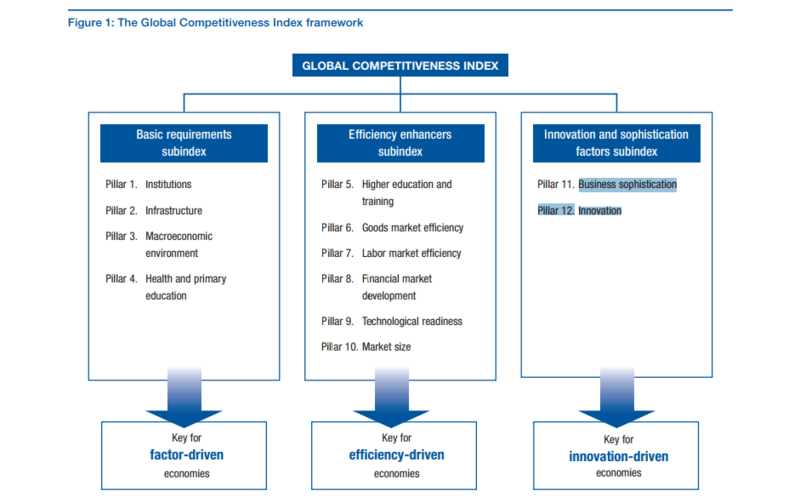 Global Competitive Index map – The Global Competitiveness Report 2017–2018. The list was dominated by Switzerland, which remain the world’s most competitive economy since last year’s report. On the bottom of the list lies Yemen, which made rose one spot since last year, only because one less country was included in the study. What’s The Difference Between Paracetamol & Ibuprofen?